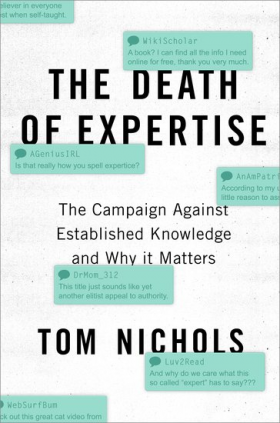 The Burleson Files | The Death of Expertise. Put this book in your reading stack and go over it with your team leaders. It will help you communicate more effectively with your patients. If you have teenagers or kids in college, be sure they read the book too. It’s important in their understanding of how we view information in today’s society. You can order a copy of the book here.